Are you a website developer that wants to know if Chrome updates will break your website before they reach the stable release channel? 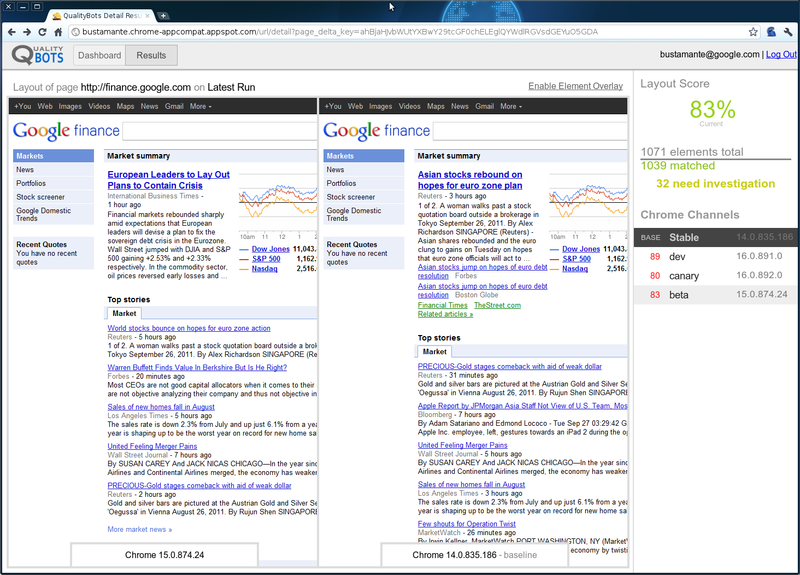 Have you ever wished there was an easy way to compare how your website appears in all channels of Chrome? Now you can! QualityBots is a new open source tool for web developers created by the Web Testing team at Google. 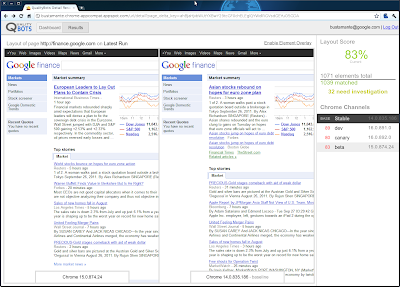 It’s a comparison tool that examines web pages across different Chrome channels using pixel-based DOM analysis. As new versions of Chrome are pushed, QualityBots serves as an early warning system for breakages. 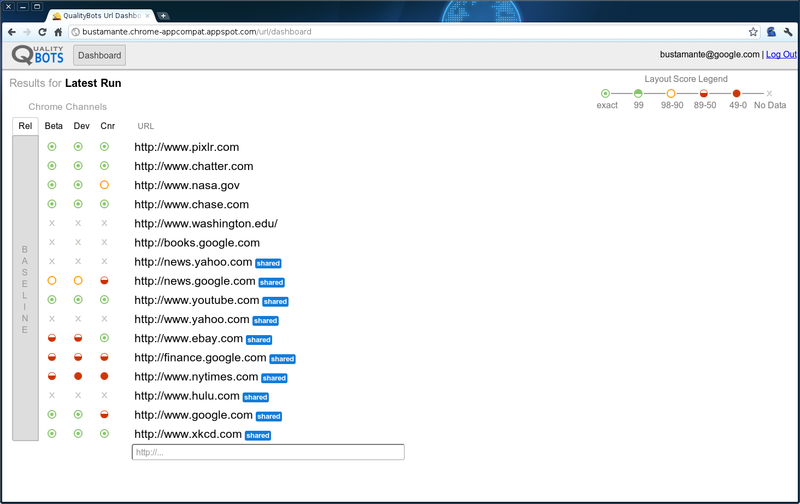 Additionally, it helps developers quickly and easily understand how their pages appear across Chrome channels. QualityBots is built on top of Google AppEngine for the frontend and Amazon EC2 for the backend workers that crawl the web pages. Using QualityBots requires an Amazon EC2 account to run the virtual machines that will crawl public web pages with different versions of Chrome. 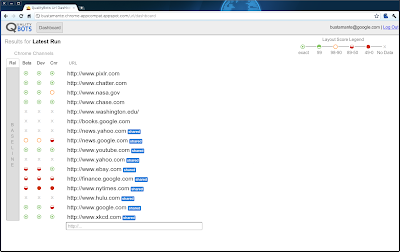 The tool provides a web frontend where users can log on and request URLs that they want to crawl, see the results from the latest run on a dashboard, and drill down to get detailed information about what elements on the page are causing the trouble. Developers and testers can use these results to identify sites that need attention due to a high amount of change and to highlight the pages that can be safely ignored when they render identically across Chrome channels. This saves time and the need for tedious compatibility testing of sites when nothing has changed. We hope that interested website developers will take a deeper look and even join the project at the QualityBots project page. Feedback is more than welcome at qualitybots-discuss@googlegroups.com.